This skirt was such a hit on my Instagram and I'm so excited to share it here as well! 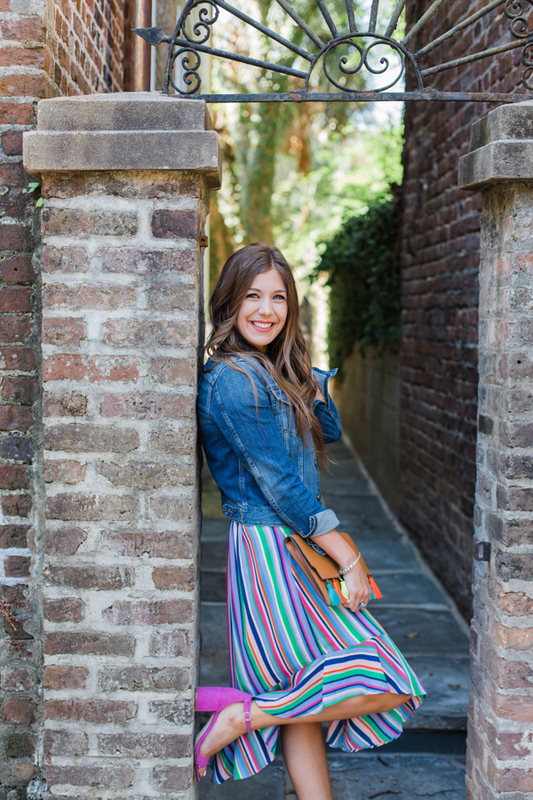 I mean, how can you not love this vibrant, colorful skirt! It is so fun, comfortable, and can definitely be dressed up and down! It runs big so definitely size down at least one size! Now that we're on the subject, the new brand A New Day at Target is absolutely amazing! My skirt and shoes are both this brand, and I just love it so much haha. They have some of the cutest clothes and accessories! I mean, have you SEEN this tassel purse?! GIRLLLL!!! I need the skirt, the shoes, AND the clutch! I love the whole look! I love all the pops of color! 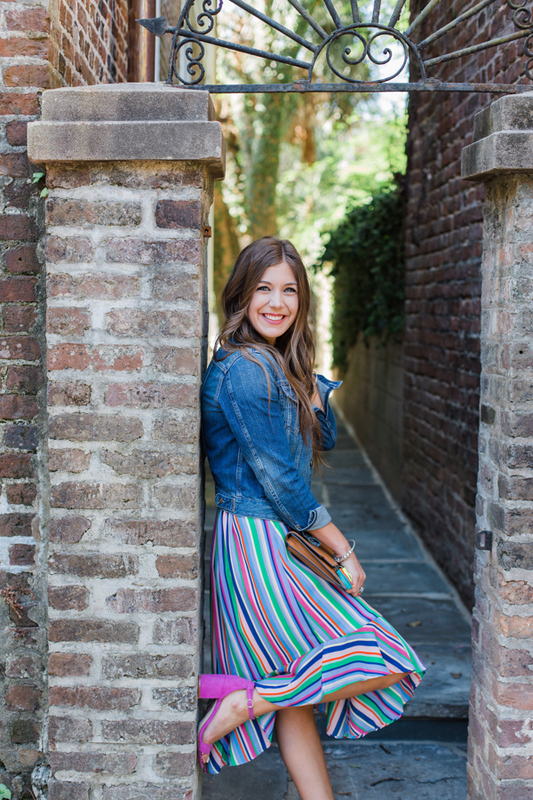 Love how colorful this skirt is! So pretty! I love how colorful the skirt is! And those shoes really match perfectly! The tassels on the bag really make it the perfect accessory! I always love wearing fun and colorful skirts! They make any outfit so much better! 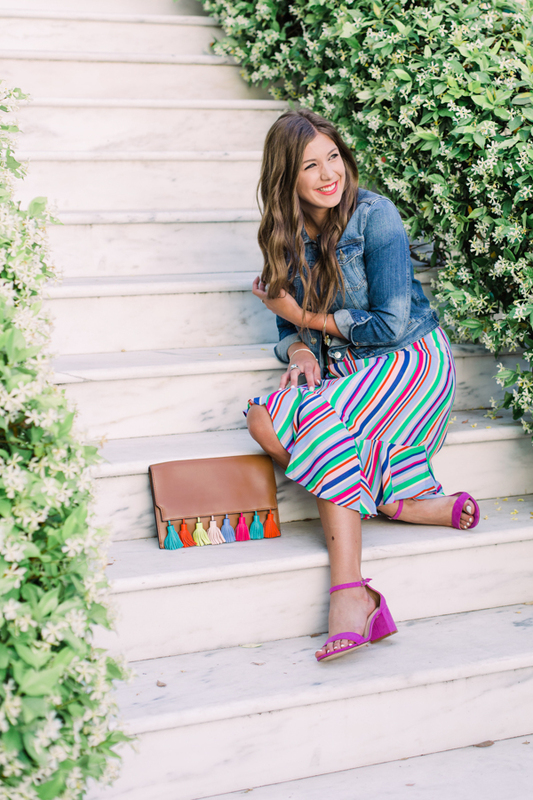 This skirt is so much fun and really is perfect for the summer season! You are too cute girl! 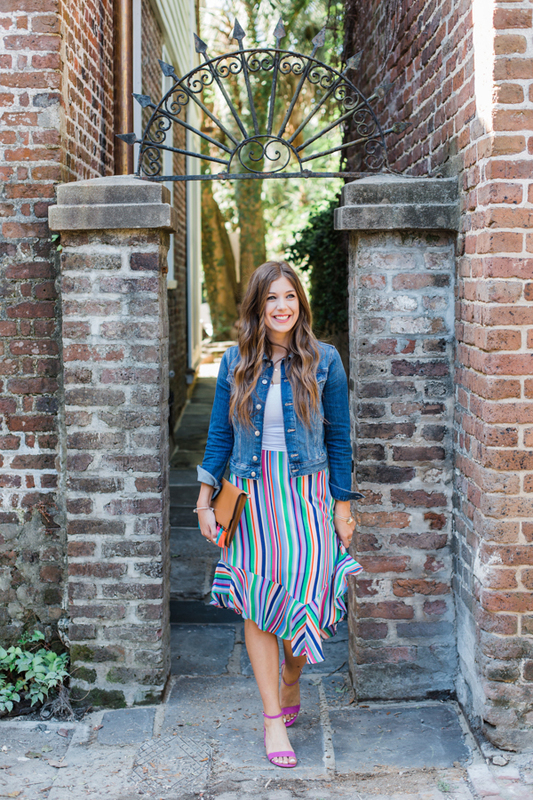 This skirt is SO fun & great for the warmer months! Love the bright colors! This skirt is adorable! Such fun colors. Love how you paired it with the pink heels! This skirt is so much fun! I am loving all the different colors in it. LOVE LOVE LOVE the colors. So bright and colorful. I like how you styled it with the pink heels. I'm loving the fun mix of colors in this skirt, so pretty! 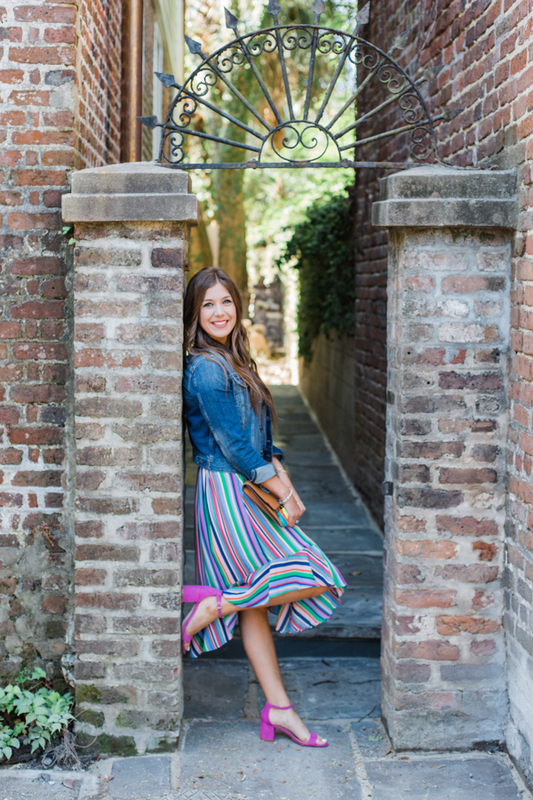 That skirt is so colorful and fun! Love how your sandals brought out the pink! Omg I am in love with this! 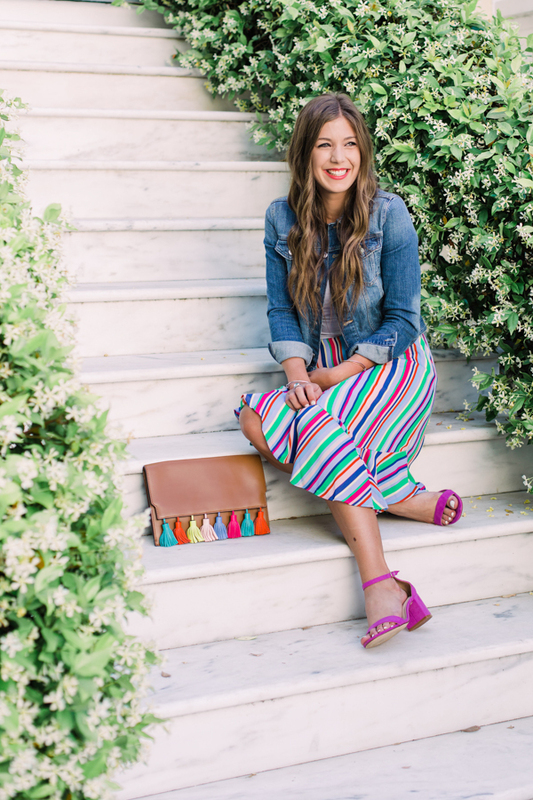 I love that skirt and how you continued with the color trend with the clutch and LOVE a good denim jacket!